The frequently asked questions and answers that you need to know before planning a trip to Glacier National Park. Is the park open year-round? Yes, Glacier National Park is open all year. Most of the park’s facilities are open from late May until early September, but the Park Headquarters and the Apgar Visitor Center are open year-round. Glacier National Park is in the northwest corner of Montana and crosses the Continental Divide. The park covers more than one million acres. How do I get around in the park? Some visitors drive their cars through the park, but many take advantage of the park’s free shuttle from outlying towns to the visitor center as well as shuttles to various places in the park, such as Logan Pass and Going-to-the-Sun Road. 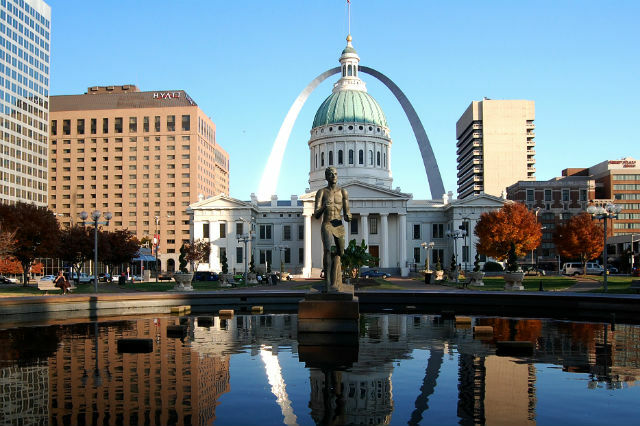 Backpacking and hiking: The park contains over 700 miles of trails winding through its wilderness. Whether visitors are seeking a short walk, a day hike, or a multiday trek to take advantages of the sixty-five designated backcountry campsites, Glacier National Park offers a wide variety of backpacking and hiking experiences. Permits are required for overnight hikes. Bycling: All of the roads in Glacier National Park are open to cyclists. Though bicycles are not permitted on most trails, the three that are open to biking are the paved path from the park headquarters to Apgar Village, the Fishcreek Bike Path, and the Flathead Ranger Station Trail. Every spring, before the Going-to-the-Sun Road is open to cars, bicyclists can enjoy this iconic ride when the park opens the road for bicyclists and hikers. Cross-country skiing: When summertime crowds vanish and the snow starts to fly, that is the best time for a Glacier National Park vacation for cross-country skiers. 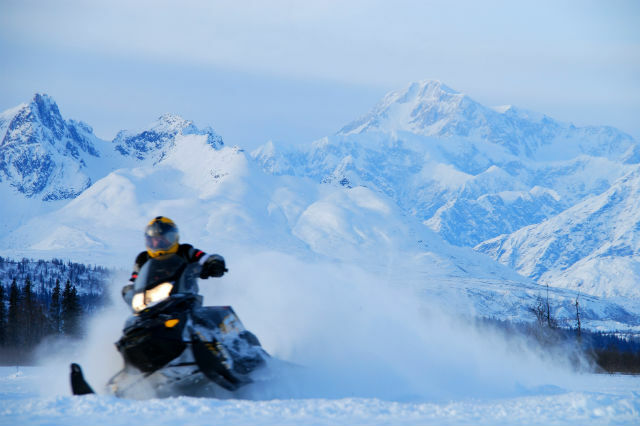 Those who venture into the park for winter fun are strongly advised to keep track of the weather and avalanche reports, as well as take appropriate precautions around the park’s wildlife. One of the more popular areas for skiing is Upper Lake MacDonald, with its gently rolling terrain and easy access. 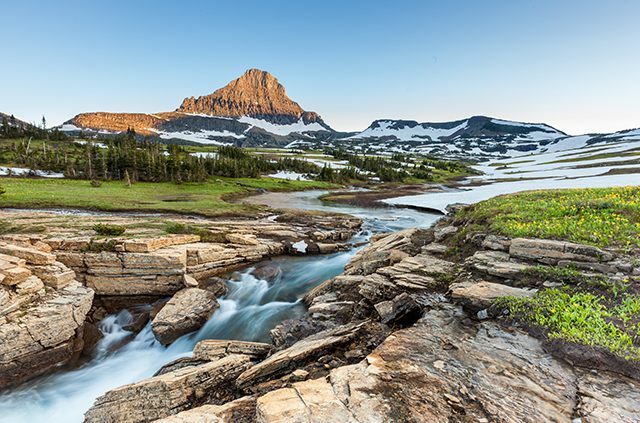 Nature photography: Many visitors come to Glacier National Park to photograph the awesome landscapes, the abundant wildlife, and the natural features of the park. Some of the areas that offer the most photogenic scenes include sunrises on the east side of the park, the wildflowers in many of the mountain passes, sunset from the west side of the park, the aurora borealis, and, for those up for a bit of a hike, the vanishing glaciers that give the park it name. Guided tours: Some guests prefer guided tours of the park, allowing the experts to share their knowledge. Whether by bus, boat, on foot, or on horseback, guided tours can show visitors the best parts of Glacier National Park. Pets are permitted only in the developed areas of Glacier National Park: frontcountry campgrounds, boat launches, paved roads, and so on. They are not allowed in the backcountry or on trails. The park does have some accessible trails, such as the Apgar Bike Path and the Lake McDonald Trail. Most of the campgrounds have accessible bathrooms as well. Lodging in Glacier National Park ranges from grand lodge-style hotels to comfortable motor inns to numerous campgrounds and rustic backcountry chalets. 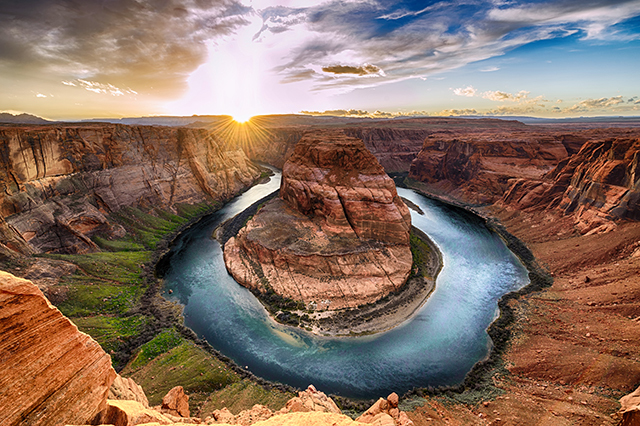 As with most national parks, reservations are strongly recommended for all types of accommodations, particularly for the peak times of July and August. Are there restaurants in the park? Dining options in the park include fine dining at Russell’s Fireside Dining Room at the Lake McDonald Lodge or the Ptarmigan Dining Room at the Many Glacier Hotel. Visitors can also grab a casual meal at several cafes and grills at the lodges and hotels in the park. Five camp stores located throughout the park offer groceries for visitors who wish to make their own meals. What are the most popular areas of the park? Going-to-the-Sun Road: This fifty-mile drive is perhaps the most popular destination in the park. To traverse the entire road takes approximately two hours, not accounting for photo stops. Though some of the Going-to-the-Sun Road is open year-round, the alpine portion is closed in the wintertime, and opens sometime in late spring when the snow has been removed. There are vehicle-size restrictions for this road; visitors are encouraged to check the park’s website for information. Lake McDonald Valley: Located on the west side of the park, the Lake McDonald Valley, named after the park’s largest lake, offers hiking, boating, and other sightseeing. Logan Pass: At 6,646 feet, this pass is the highest paved elevation in the park. It is well-known for its blanket of wildflowers that bloom each spring and summer. Many Glacier: This area is considered the heart of the park. Wildlife viewing, hiking, and glacier viewing are the main activities here. 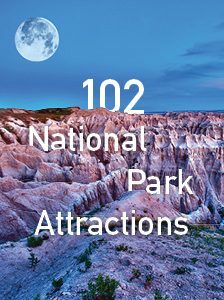 Which national park would you like to visit most? 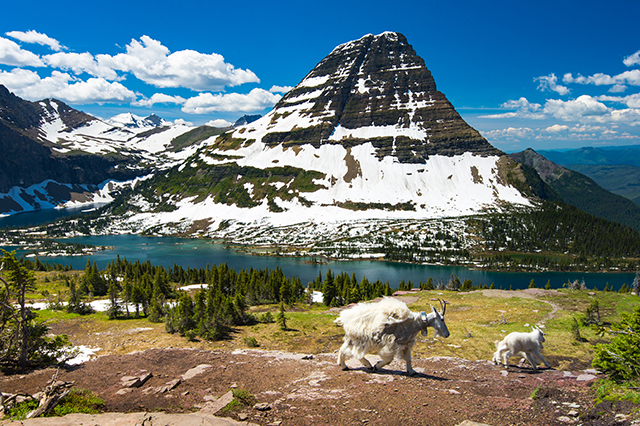 Is Glacier National Park on your list? Tell us in the comments. Article tags: a hike, a national park, AAA, backpacking, backpacking and hiking, bike, bike path, casual meal, day hike, dining options, fine dining, glacier national park, glacier national park vacation, hike, hotels, hotels in, national parks, restaurants, restaurants in, skiing, tours, travel, trek, vacation, vacation packages, vacation packages to, vacation packages to glacier national park, winter.